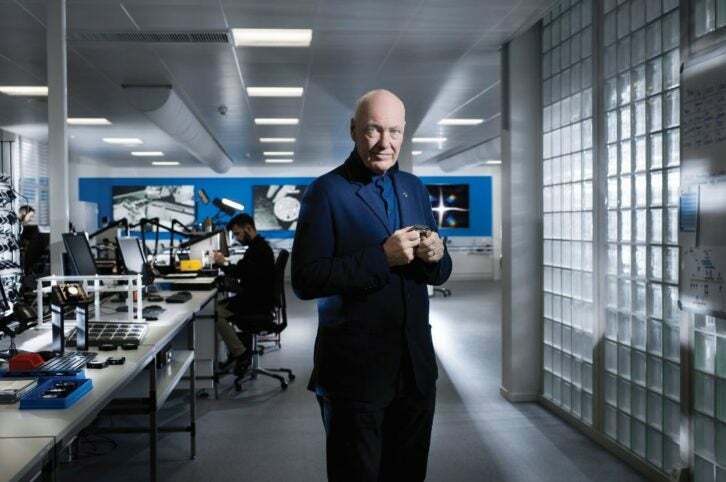 Jean-Claude Biver is credited with helping rescue the mechanical watch industry from the “Quartz crisis” when he resurrected Blancpain some 30 years ago before selling it to Swatch Group. His latest triumph was helping Hublot founder Carlo Crocco save the brand from near receivership, then selling it to LVMH for nine digits. As part of the French luxury goods company, Biver has since the sale remained firmly in control and in the spotlight making big bangs on an almost weekly basis and keeping Hublot’s upward trajectory. In December he was riding particularly high with his announcement of Magic Gold, a new watch-making material with great promise. Then weeks later came the New Year’s shocker that Biver was stepping down as CEO and ceding the reigns to his long-time deputy Ricardo Guadalupe catching the industry by surprise. Was his new position as Chairman of the Board an exit? Was Biver who had been under the weather for several months sick? Having lost several of its most beloved personalities in the past year watch blogs and newsletters were abuzz. Elite Traveler Editor-in-Chief Douglas Gollan caught up to Biver during the January Geneva Watch shows at the Kempinski Hotel where he had taken over the entire first floor as a Hublot showroom to find out what’s happening. Jean-Claude Biver: I’m fine. I feel good. ET: Are you stepping back or planning to retire? Jean-Claude Biver: No. You’re not going to see less of me. For an entrepreneur there are four quarters of a career. The first is learning, and for me that started when I entered the industry in 1974, and you of course never stop learning. Then you have the action part, which started with Blancpain in 1982 and has lasted until now. So you can say I am at halftime. Then you have the transmission period, which I plan for the next seven years and then departure period that takes one year, so I am planning eight more years. ET: What does the transmission part entail? Jean-Claude Biver: The tragedy is if everything you learn goes with you to the grave. I have now had 38 years and I want to give back. I want to transmit what I have learned to others. There is a lot I have done that I want to teach to others. ET: How does the appointment of Mr. (Ricardo) Guadalupe as CEO change day-to-day for Hublot? Jean-Claude Biver: Day-to-day Ricardo has been acting as the CEO for the past 15 months but now he also has the title so nothing is changing. ET: So can we now evaluate the success of your tenure at Hublot? Jean-Claude Biver: Your own success can only be measured by how the company is three or four years after you leave, so no. It is too early. ET: You seem very excited today? Jean-Claude Biver: Magic Gold is a true breakthrough. It is a composite of gold and ceramic. Ceramic is ideal because it can’t be scratched, it is lightweight, which is a coming trend, there are no known allergies to it and it never oxidizes. With all these characteristics it is perfect for a wristwatch and while Chanel has used ceramic as luxury, it is not a luxury material itself. Combining it with Gold makes it a luxury material. ET: How did the idea of Magic Gold come about? Jean-Claude Biver: There is a university about 50 kilometers from here with a top metallurgy department. In 2007 I went to them with the challenge to find a scratchproof gold, and it was they who came back with the idea of combining ceramic and gold. 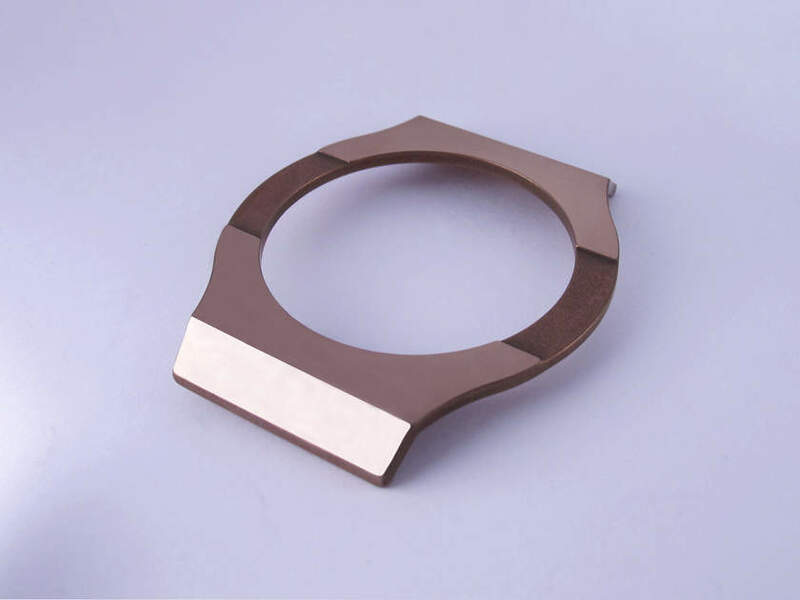 We have a 20 year patent, and in fact the world’s largest wedding ring company already approached us about licensing Magic Gold to them, but we said no for now as we want to keep it for ourselves for awhile. However, the point is there. Which would you want for a gold wedding band, a scratched one or one that is like new? ET: It sounds like a jewelry line might be in Hublot’s future? Jean-Claude Biver: Yes, but not this year. ET: Will we see Magic Gold used for other LVMH brands? Jean-Claude Biver: Not at this point. ET: Are there any other composite applications using ceramic under the patent? 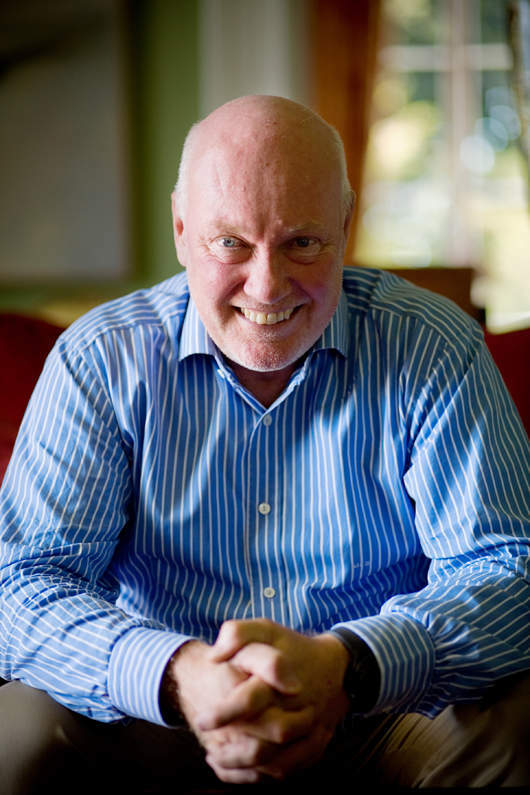 Jean-Claude Biver: In addition to Gold, Silver and Platinum. ET: Will Magic Gold look different? Jean-Claude Biver: We will make it look different as we don’t want to cannibalize our existing products. ET: Over the next couple years, what percentage of your production do you expect to be Magic Gold? Jean-Claude Biver: It depends how fast we can produce. You cannot use existing machines so we need a new full line of machines. ET: Generally speaking, how‚s business for Hublot? Jean-Claude Biver: The last year has been busy for everybody so it wasn’t just Hublot that had a busy 2011. However the difference with Hublot is we were ahead 30 percent but only 3 percent of our sales are from China whereas as 40 percent of the Swiss watch business is from China. So we grew by 30 percent but without China. Next year our goal is to have 5 percent in China. ET: Why so little activity in China? Jean-Claude Biver: When I came to Hublot in 2005 the company was unstable, and so when you go about a turnaround situation like that the first places you work are in the countries you know, the ones that are nearby and you speak the language. We only recently started in China and as everyone knows China takes a long time and a lot of money. ET: Judging by the announcements of new boutiques, Hublot is busy around the world? Jean-Claude Biver: In 2012 we will open 20, including Vail, Aspen, San Francisco, Costa Mesa, Osaka, Zurich, Munich and Frankfurt and we will be up to 60 however only about 10 percent are fully owned by Hublot. ET: What is the structure then? Jean-Claude Biver: We have three structures: 100 percent owned, 51 percent owned by Hublot and 100 percent owned by the partner. In places like Gstaad or Aspen as examples you need to know the local market, the local hotel managers, the people, the culture. It doesn’t make sense to send a person from Geneva. In New York or Paris it is driven by tourists so for us to own makes sense. We own 10 percent of the boutiques, 50 percent are partnerships and 40 percent are owned by the jeweler. ET: Can we see some Magic Gold watches? Jean-Claude Biver: You have to wait until Basel (laughs).